Skis are expensive. Throw in bindings and skins and it’s easy to get $1000-$1200 per rig. Enter binding inserts. 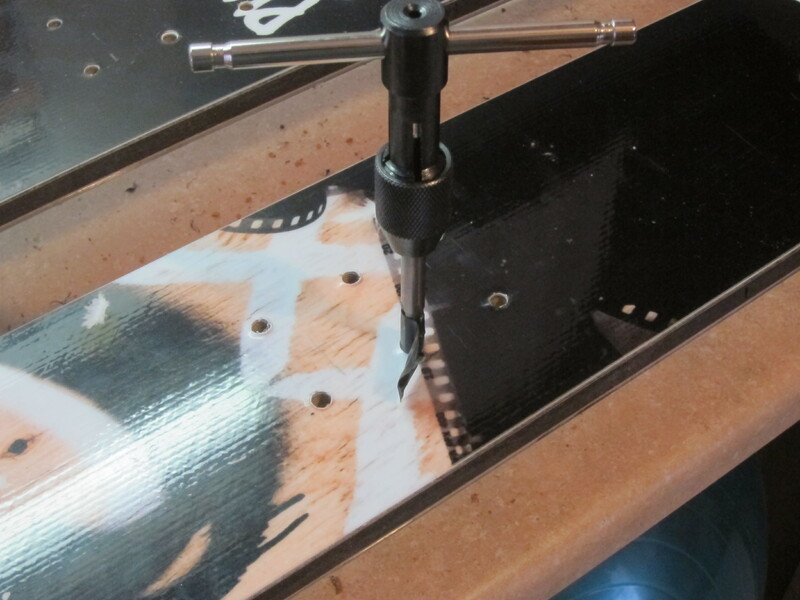 Inserts allow you to move one pair of bindings to multiple skis. Snowboard manufacturers have used them for years, K2 used them on their telemark skis a few years back, but only in recent years they have become available for the masses. I marked and drilled my holes the same way I would for a regular mount, then came back with 1/4″ drill bit for the inserts. 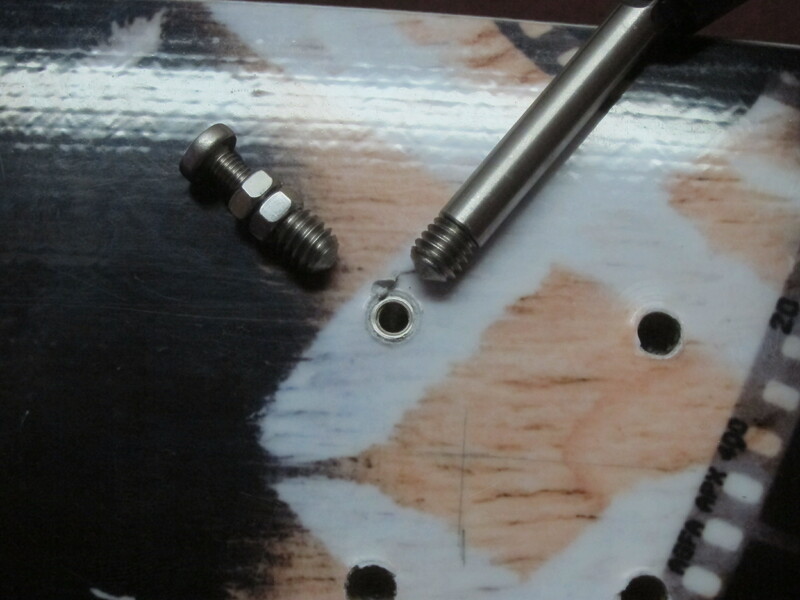 Make sure to have a stop or piece of tape on the bit so the inserts sit flush or slightly countersunk. After all holes have been drilled it’s time to tap. This is by far the most difficult part of the install. I put some tape on the tap as a guide, though the next time I do this I will definitely make some sort of jig for the tap. I did four pairs of skis and a jig would have definitely saved some time. 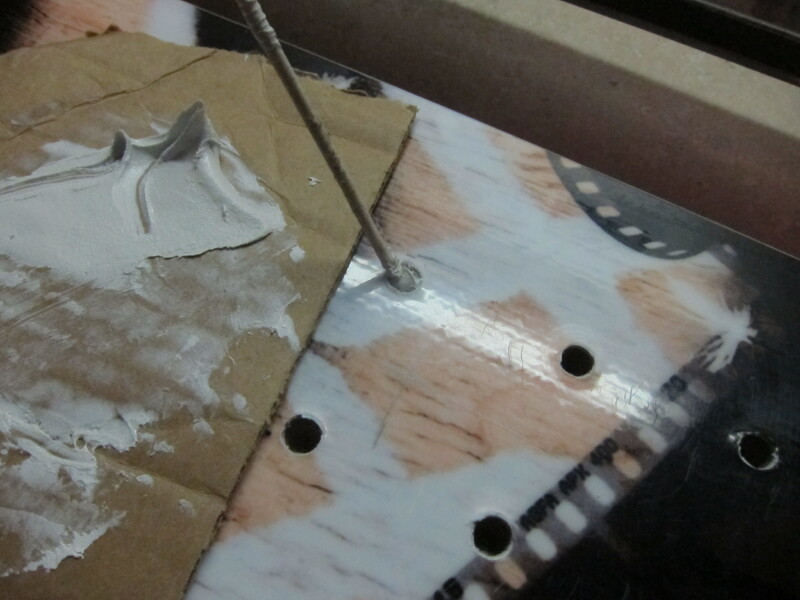 With all holes drilled and tapped all that’s left is epoxy and inserts. 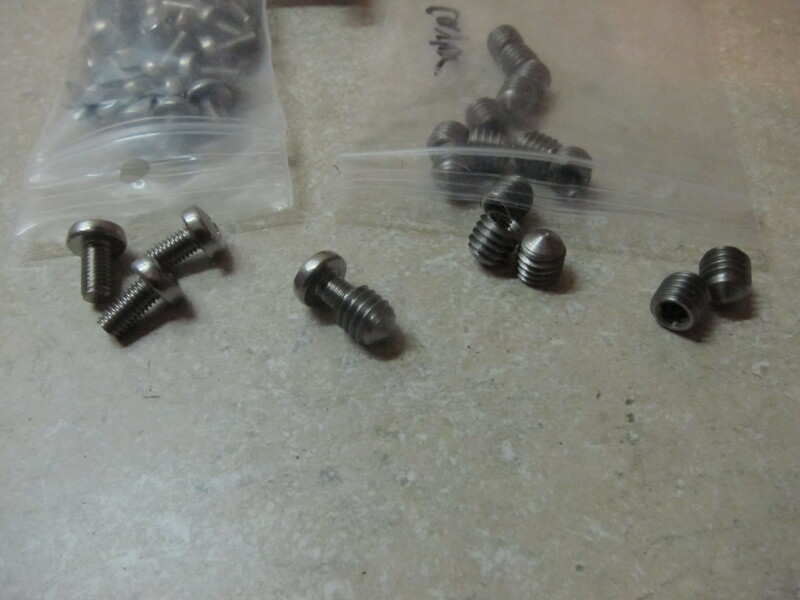 There’s two ways to screw in the inserts. 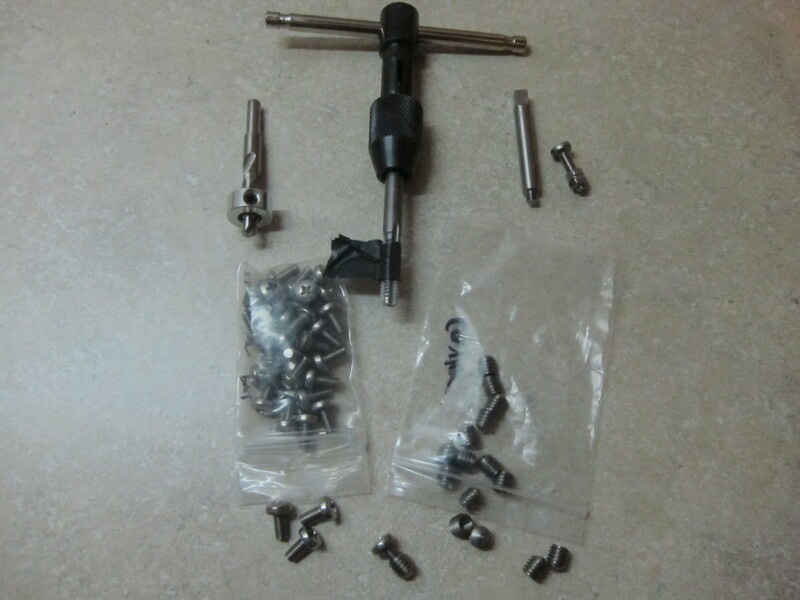 I got a nifty tool to screw the insert in with a T-handle, which works really well, although every insert pack comes with a screw and two nuts which also works but is a bit time consuming. After all inserts are in I mounted the bindings to check for fit and to “set” the inserts at the proper location. All in all this is a super easy install, takes me about two and a half hours per ski, from measuring until finish.However, this time could be greatly reduced with a jig. Besides being able to move one binding between skis, I’ll also be able to fit more skis into a bag for traveling and put in multiple inserts for different bindings. 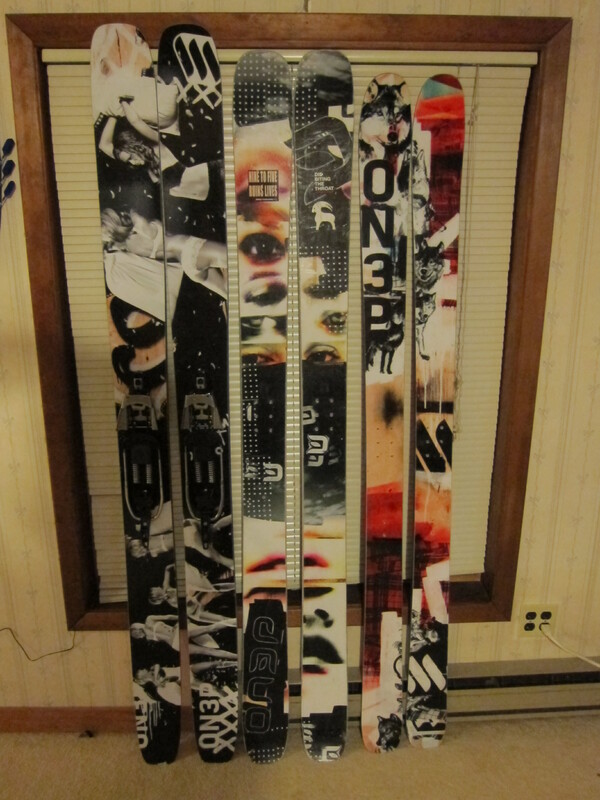 Highly recommended for those who are comfortable mounting their own skis and want to switch bindings around. 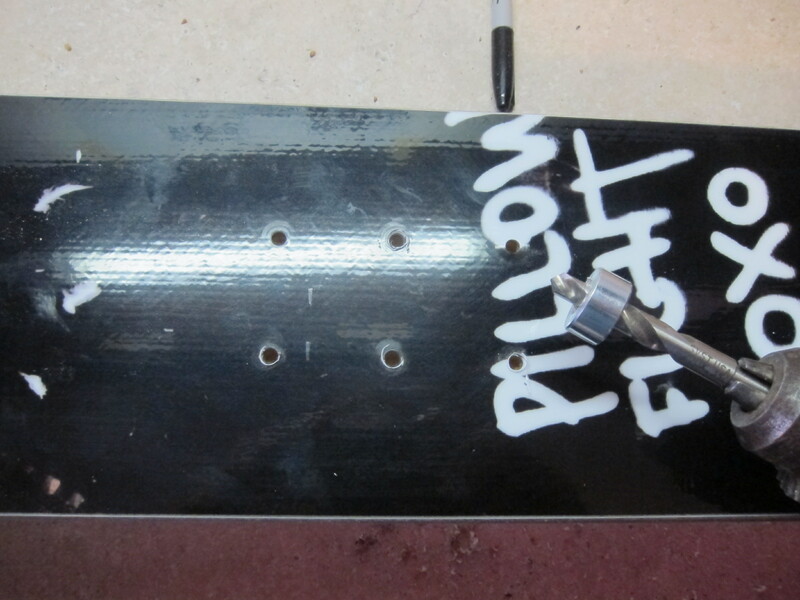 This entry was posted in Gear and tagged bindings, inserts by Lee. Bookmark the permalink.